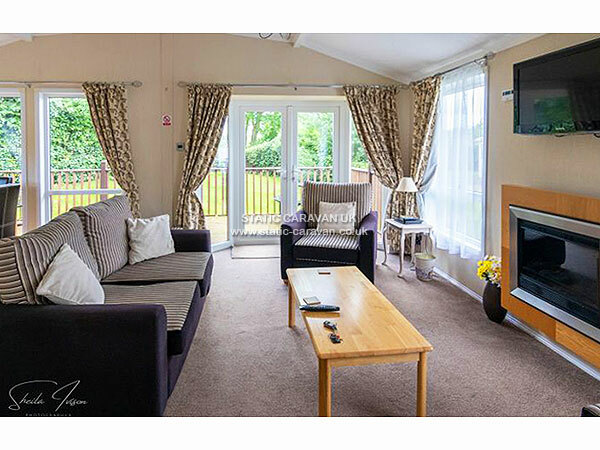 Our beautifull spacious lodge ( 40ft x 20ft ) is situated in a quite secluded position overlooking the golf course at Haggerston Castle . 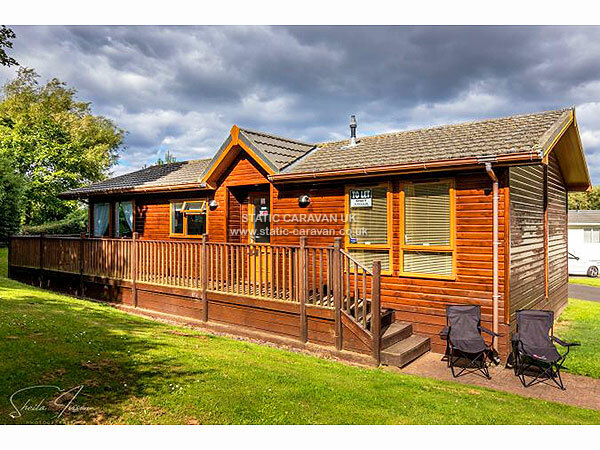 The lodge is double glazed & centrally heated and is just a short walk away from the golf course , clubhouse & cafe, children's play area & putting green. 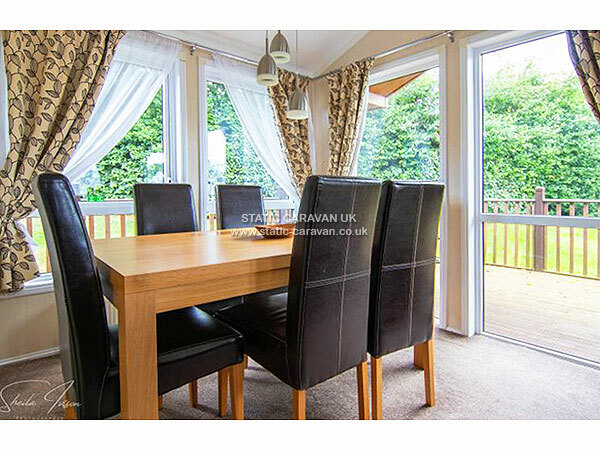 The spacious lounge and dinning area looks out onto the garden & golf course beyond . 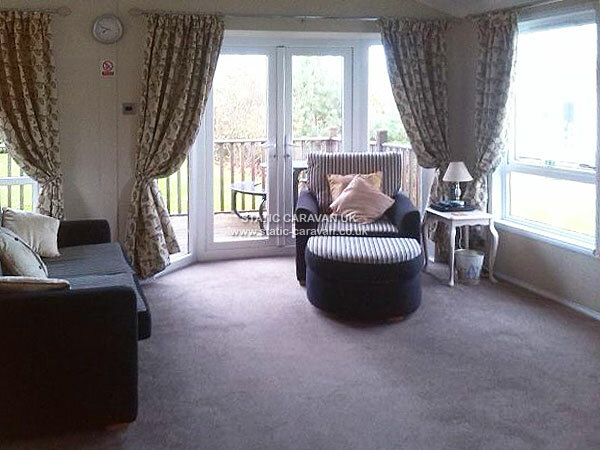 It has two comfortable sofas, chair & footstool, coffee table, flat screen TV and DVD player. There is high class dining furniture with six chairs. 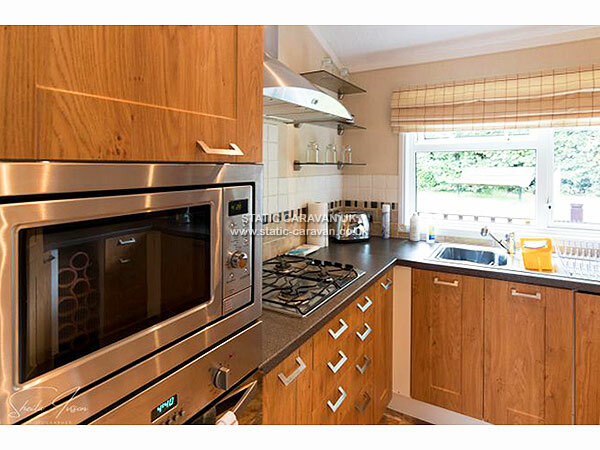 A fully fitted kitchen provides everything you need for an enjoyable stay from microwave oven to crockery, cutlery, toaster and iron etc. 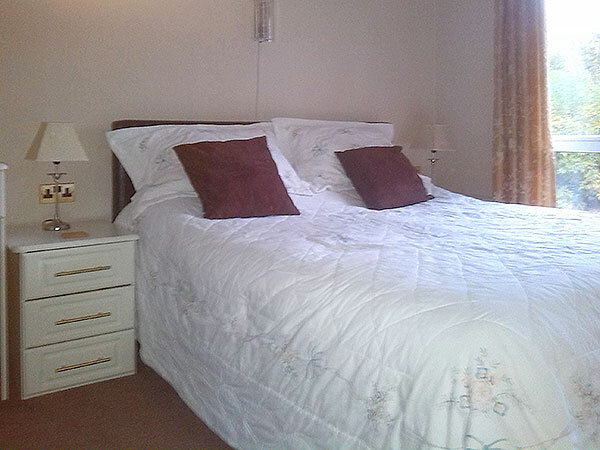 We have a master bedroom with a large ensuite with bath and overhead shower, toilet & basin. There is a king size bed with spacious wardrobes and dressing table. TV & hair dryer, plus plenty of storage space. 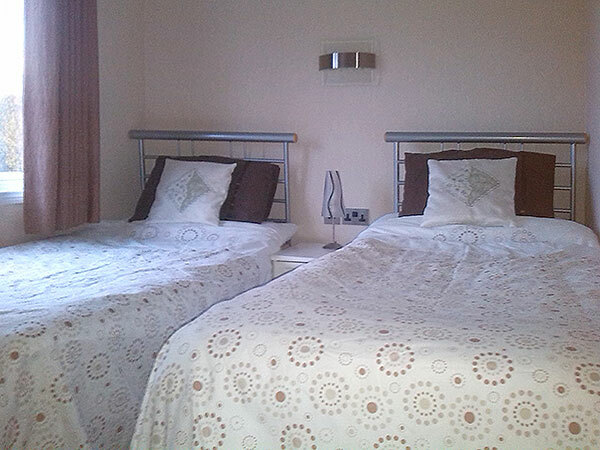 The second bedroom has two full sized single divans and plenty storage space. The large shower room with toilet and basin can be accessed from this room and from the hall. You can find a sofa bed in the lounge. Please bring your own sheets, pillow cases , duvet covers, towels and tea towels ( or these can be hired from reception if required ) . Duvets and pillows are provided ( please note King size duvet cover is required for main bedroom ) . 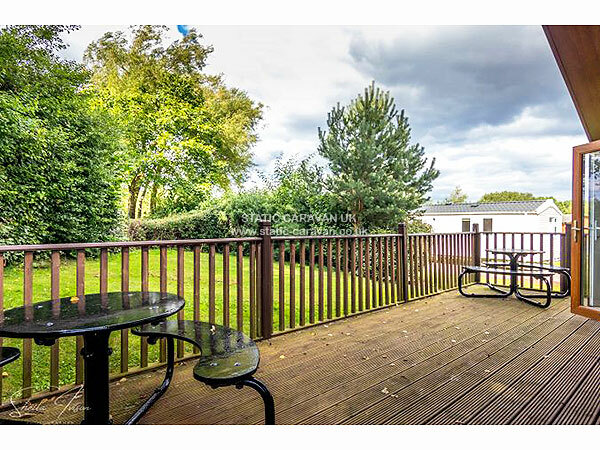 Outside there is a large wrap around secure, gated decking for children to play safely. There are tables and seating on decking. 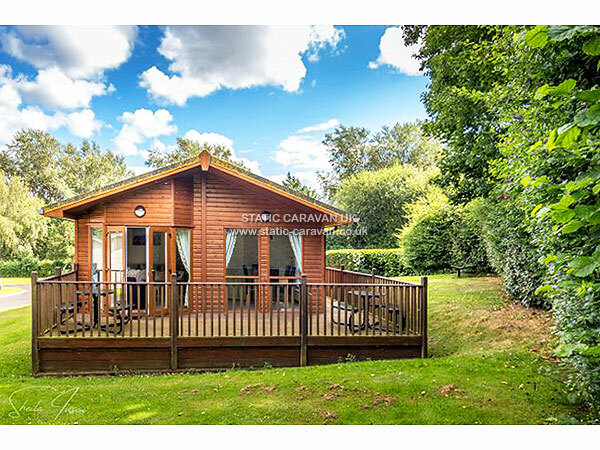 The lodge is surrounded with a large grassed area, ideal for children to play on, there is also a garden seat. There no neighbours to the left only grassed area and some bushes. Entry to the lodge is via a private gated road ( entry gained by key code ) which makes it very private and safe for children. There two parking spaces beside the lodge. Please note : You will not have to queue for keys for lodge. 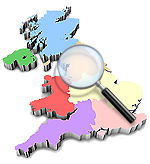 A £ 50 deposit secures booking and date or you can choose interest free monthly instalment plan to be arranged if required. Full balance is to be paid 6 weeks prior to the start of your holiday . Passes can be purchased from reception if required. THIS IS A NON- SMOKING LODGE.